Jeffrey has made molds from sticks. I made a mold inspired by a delicate, base relief of a bird (I believe it’s an egret) which I found in a book of Greek art. This is our first time making our own molds. The candles smell so good, like honey. Jeffrey also made a fresh batch of mustache wax (with Shea butter and amber) in the shape of shells. 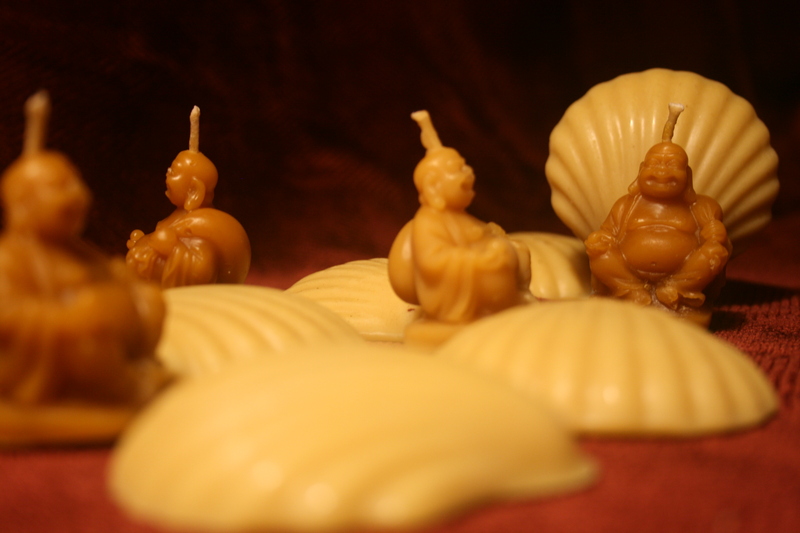 We also made tiny Buddha candles from the chocolate mold our friend Della gave to us. If you Follow this blog you’ll get updates in your email box.